After nearly 25 wonderful years of operating Bird Treks, the time has finally come to scale down the amount of traveling and office work that I do. 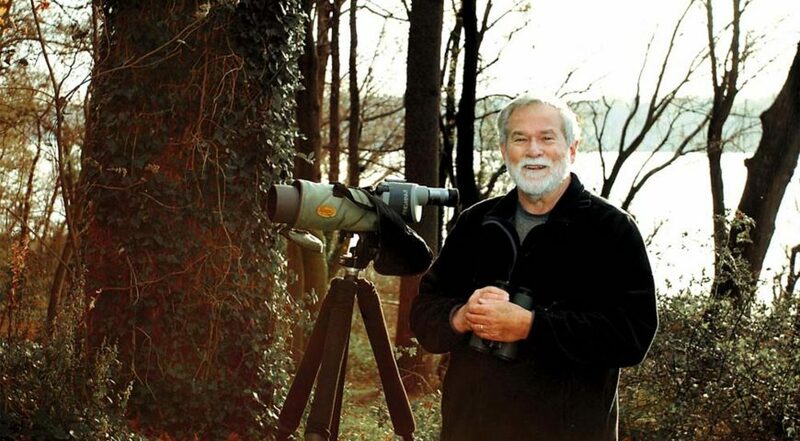 I am handing over the reins to my good friend Chris Lotz, the owner of Birding Ecotours. Chris is taking over the Bird Treks website and will continue to operate the U.S. and Canada tours that I have developed and refined over the years. I will still be guiding some of these tours, and I hope to be with you in one of our exciting destinations sometime soon. Chris and I will be in close contact to ensure that the tours and the website run smoothly. We both have a very similar philosophy about how to conduct our tours, so the transition should be an easy one. Chris will do the majority of the correspondence with you about upcoming tours and other birding information. Thus, we would like most Bird Treks correspondence to go directly to Chris at info@birdingecotours.com. If you write to me at info@birdtreks.com concerning any tour information, Chris and his colleagues from Birding Ecotours will also receive a copy of your message. They will respond to you in a timely manner. I will of course gladly help Chris and his staff whenever I am needed. Chris Lotz did a post-doctorate study on hummingbirds at the University of Wyoming for 2.5 years, from 2000 through 2002. Since that time, for the past 13.5 years, Chris has been operating world-wide birding tours from his native South Africa. He and his wife Megan moved to Columbus, Ohio in March 2017, where they have established a Birding Ecotours branch office. Chris attends several US birding festivals each year, such as the American Birding Expo and the Biggest Week in American Birding. Chris sends electronic newsletters once every two months, detailing upcoming Bird Treks and Birding Ecotours trips, trip reports, and other related information. Examples of previous newsletters can be seen at this link: http://birdingecotours.com/blog/?cat=newsletter. Please contact either Chris or me if you wish to be added to Chris’ mailing list. You will be added to the e-mail list only upon your request. Chris is offering a one-time 5% discount on any 2017 or 2018 tour offered at www.birdtreks.com or www.birdingecotours.com. Simply e-mail Chris at info@birdingecotours.com or me at info@birdtreks.com, with ‘5% DISCOUNT’ in the subject line. This will qualify you for a 5% savings on your next tour! To take advantage of this offer, you must register for your tour any time prior to 1 July 2017. The 25% deposit is due upon registration. It has been wonderful sharing the world of birding with you for the past quarter century. And I look forward to the future, as I could well be the tour leader on your next exciting North American birding tour. I hope to see you soon!